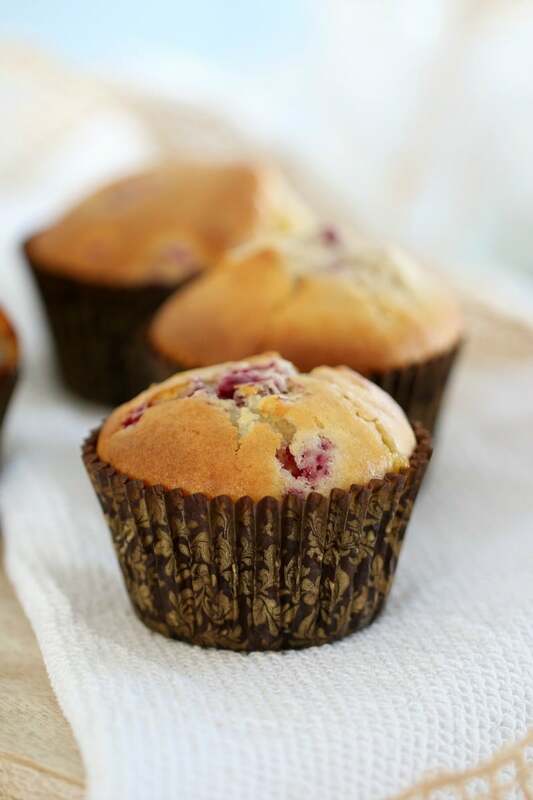 The perfect combination comes together in these deliciously easy White Chocolate & Raspberry Muffins (you wont be able to resist the chunks of chocolate!). 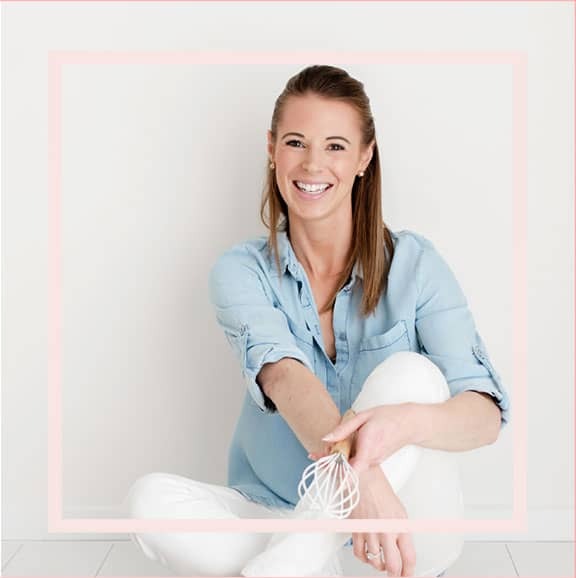 I have to say that raspberry & white chocolate would have to be one of my very favourite flavour combinations (if you adore this combo too, then check out my fave no-bake cheesecake… OMG it’s good!). But back to the muffins! 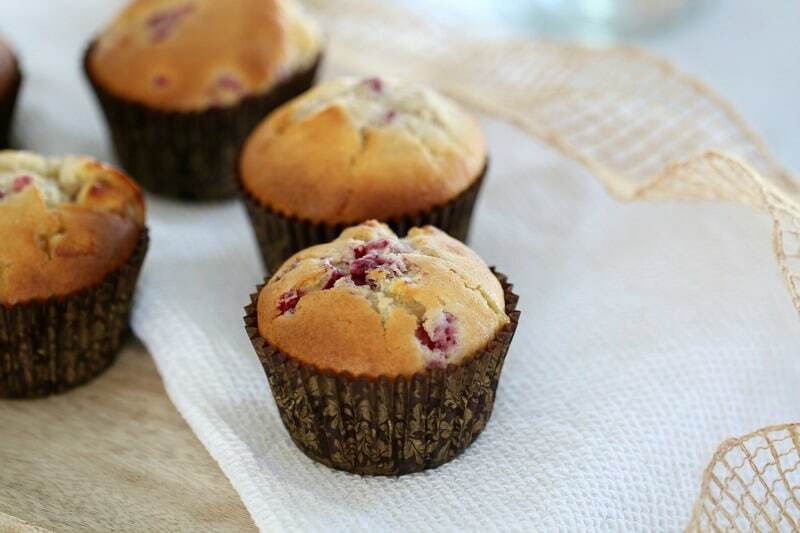 These fab little quick and easy White Chocolate & Raspberry Muffins are made using my go-to muffin recipe. It’s the most basic, fool-proof recipe ever (and it takes no time or fuss at all to mix up). 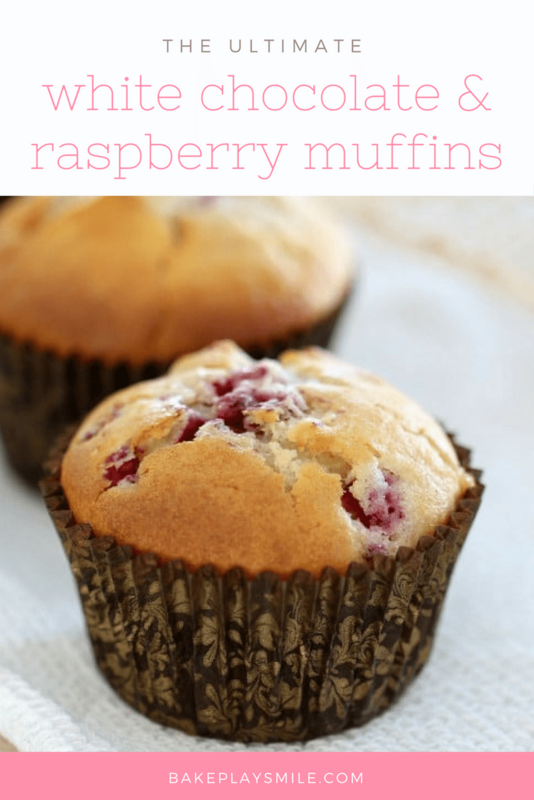 You can add anything to the muffin mix – it’s super versatile and you really can’t go wrong. But seriously, before you go experimenting, pretty please make this white choc and raspberry version. You will freeeakin’ LOVE it. 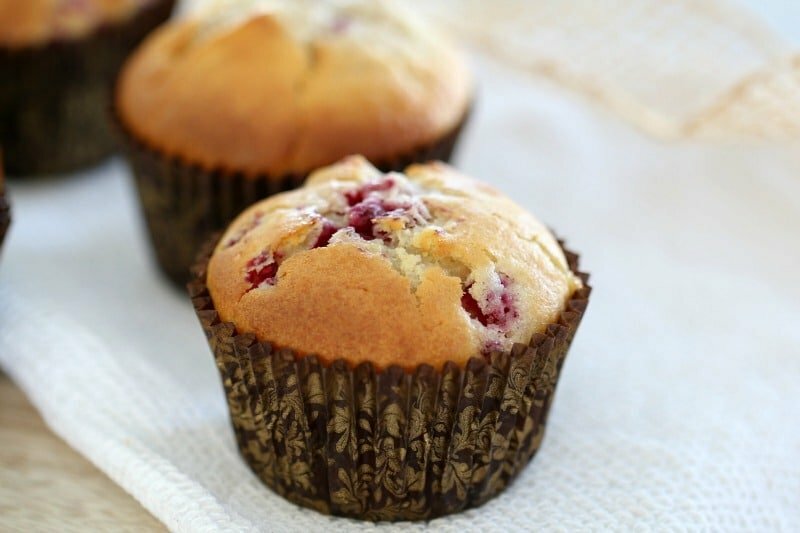 The only trick to these muffins is to make sure that you don’t over-mix the ingredients. That’s it! As long as mix until only just combined (lumps are fine! 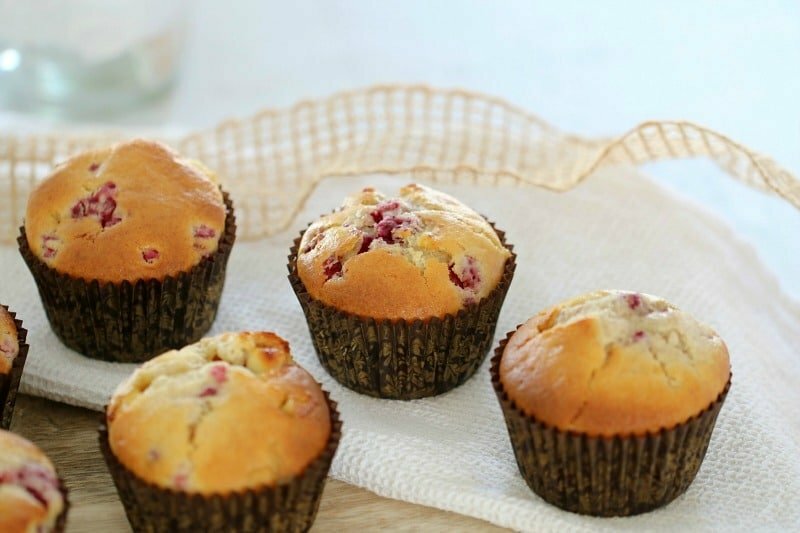 ), you’ll end up with the most deliciously light and fluffy muffins. You know how I was saying that white chocolate and raspberry is one of my favourite combinations, well it really is! In fact, Dave and I had that exact flavoured cake at both our engagement party and our wedding. You just can’t beat it. 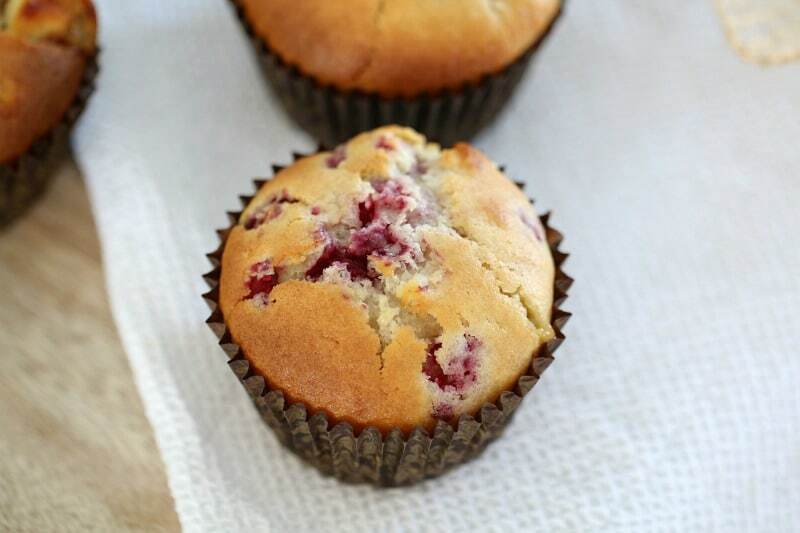 In these easy white chocolate & raspberry muffins, I chopped some white chocolate into chunks. If you don’t have any blocks of white chocolate lying around, you can always use chocolate chips instead. I just love that when you chop your own chunks you can make them as big or small as you like (no prizes for guessing that I chopped mine BIG!!). 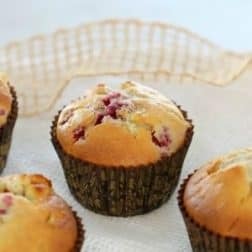 These muffins are best eaten on the day that you make them, but if you can’t eat your way through the WHOLE batch straight away, you can just pop them in the freezer. That way you have the yummiest snacks ready whenever you need them! They will also last for a couple of days in an airtight container (but they seriously wont last that long… so you don’t even need to know that!). Are you a fan of raspberry & white chocolate too? Very gently fold through the raspberries and white chocolate chunks (do not over-mix). 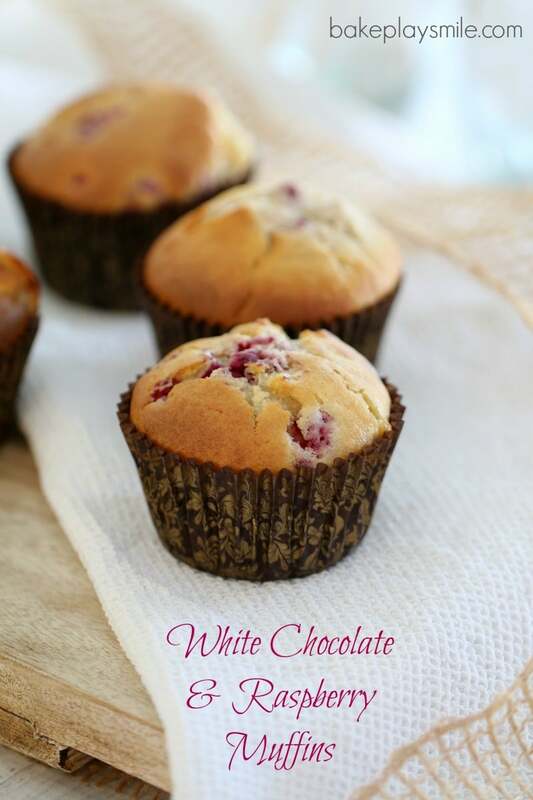 The perfect combination comes together in these deliciously easy Thermomix White Chocolate & Raspberry Muffins (you wont be able to resist the chunks of chocolate!). Add the remaining ingredients (except for the raspberries and white chocolate) and mix on Speed 5 for 5 seconds. Use the spatula to gently fold through the raspberries and white chocolate chunks (do not over-mix). Raspberry and white chocolate is the sweetest combo! These look lovely Lucy. Your photos are so pretty! 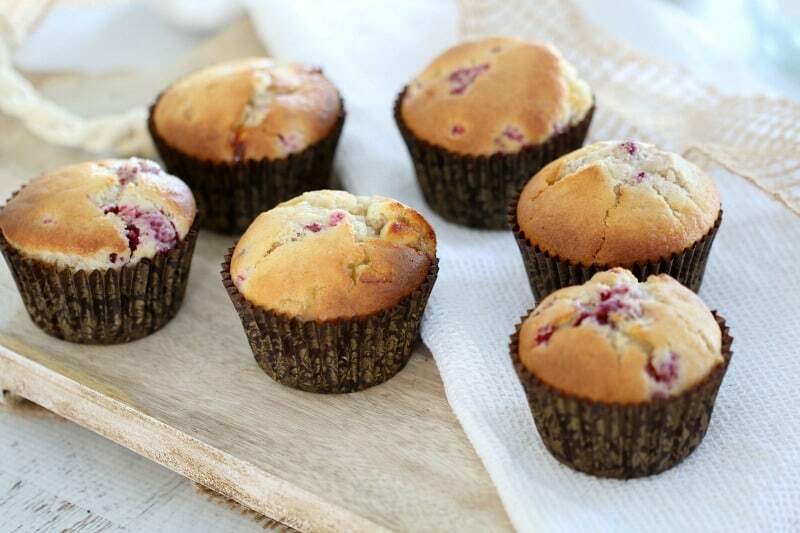 Raspberry and white chocolate are a match made in muffin heaven! Yum one of my favourite muffin flavour combinations. Thanks for sharing with YWF too. 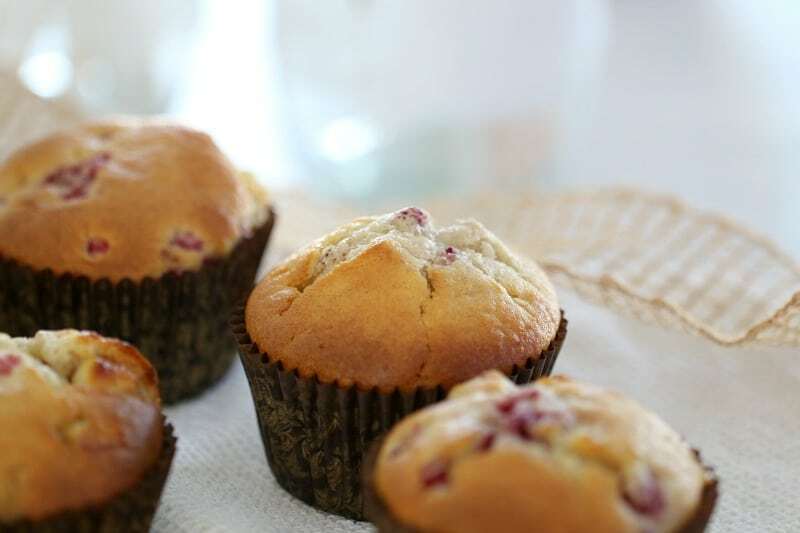 Lucy, I have just made 2 batches of white chocolate and raspberry muffins…..Delicioso!!! And yes I went chunks! Mmmmmmmm.